Turn around: Studies are starting to show that exercise may be a critical component of autism therapy. Children with autism often receive lots of specialized care: Some complete as many as 40 hours per week of applied behavioral analysis (ABA), the most common behavioral treatment for autism. Others may also see a speech or occupational therapist. But for many children, chances are that exercise is not part of the prescribed routine, says Meghann Lloyd, associate professor of health sciences at the University of Ontario in Canada. Yet a growing body of data suggests that exercise offers many of the benefits that traditional autism therapies do — plus a few they don’t. Dozens of small studies suggest that, aside from boosting motor skills, movement-based therapies may improve social communication, attention, behavioral issues and performance on academic tasks1,2. Because the evidence is based largely on pilot trials, it does not show exactly how exercise produces these outcomes, or which types of exercise are most beneficial. But the roots of many of the gains may be social. “Think about all the things you learn from play: turn-taking, role-playing, verbal and nonverbal communication, social roles,” Lloyd says. Exercises ranging from yoga and creative dance to robotics can all be beneficial3. In eight-week studies, they seem to improve social interactions, motor skills and communication, says Anjana Bhat, associate professor of biomechanics and movement science at the University of Delaware. “There’s a lot of value for addressing behavioral problems and attentional issues in children with autism through the use of exercise,” says Bhat. The scattered data so far point to improvements in isolated functions such as ‘attention’ and ‘social gaze,’ but it isn’t clear how broad or consistent the effects of exercise are or what ‘dose’ is necessary for the gains. As a group, children with autism tend to move relatively little. Exercise is conspicuously lacking in traditional autism therapies such as ABA, in which therapists teach social skills and desirable behaviors using reward-based incentives. “If you look at what is actually done in ABA therapy, there’s a lot of tabletop activities, sitting at a desk and working on various skills. It doesn’t involve much physical play,” Bhat says. What’s more, children with autism tend to shy away from recreational exercise and sports. One reason for this reluctance may be poor motor skills. More than 80 percent of children with autism struggle with coordinated movements, such as manipulating scissors or kicking a soccer ball. “Kids with autism might learn how to walk and sit and roll over on time, but once you get into skills that are socially oriented — like kicking and catching a ball, skipping, running, hopping and learning [motor skills] — they tend to be quite delayed,” says Lloyd. In addition, teenagers with autism may steer clear of sports for social reasons. They are hesitant to engage with other members of a team and are worried they will have trouble learning the rules of the game, suggests a 2015 study4. “One of the questions we asked was, ‘Do you ever think that sports and exercises are too hard to learn?’ Not one single typically developing kid answered yes to that question, but about 16 percent of the kids with autism said yes,” says lead investigator of the study, Heidi Stanish, associate professor of exercise and health sciences at the University of Massachusetts Boston. Perhaps partly as a result of inactivity, children with autism often pack on pounds. They are twice as likely to be overweight and about five times as likely to be obese as their typical peers. Exercise is likely to have the same physical benefits in children with autism as it does in other children. In a 2014 review, Bhat and her colleagues reported that fitness interventions from treadmill training to roller skating helped reduce obesity in children with disabilities, including autism5. In May, Bhat launched a study to compare traditional ABA therapy with a two-month music and movement intervention. In the study, four children with autism, ages 7 to 13, played instruments and danced to songs with social storylines — a song about greeting friends, for example — for an hour per day. A group of 12 children with autism engaged in traditional ABA therapy. Preliminary findings from this pilot trial hint at the benefits of blending movement with social interaction: Children in the movement group looked at and talked with the other children more at the end of the trial than they did at the beginning. They also showed fewer negative behaviors. “In this group setting, we found that there’s more social gaze, more looking at and observing others,” Bhat says. Children also gained more motor skills from the movement exercise than the ABA activity. Children can build on motor skills to burnish social ones. 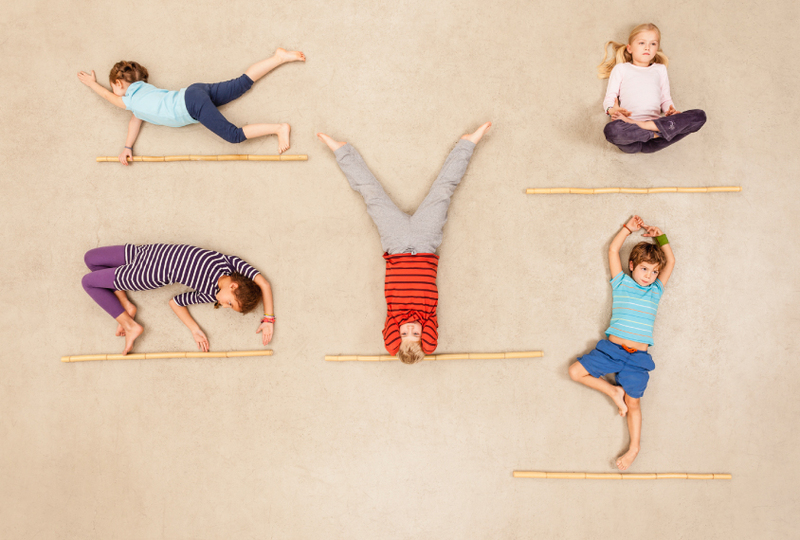 In a small study published earlier this year, Lloyd’s team tested the effects of a six-week exercise-based intervention on the motor skills of five children with severe autism6. Each week, the researchers worked with the children to hone a specific movement, such as kicking. By the end of the program, the children had mastered those movements. But they also showed increased interest in social interaction and sharing observations. “We didn’t intervene on social skills. But guess what? We saw adaptive behavior and social skill improvements,” says Lloyd, who says she plans to confirm the results in a larger study. Some specialized exercises may yield cognitive benefits. A 2013 study found that children with autism who practice the Chinese art of Nei Yang Gong gain self-control, the ability to resist impulses in the face of temptation. Nei Yang Gong builds body awareness through slow, focused movements. It’s difficult to predict which children will reap cognitive benefits, however, and from what type of exercise. Tan’s review suggests that some children have an increased attention span after jogging, for instance, whereas others only get this benefit from cycling — or not at all. But even minor improvements in cognition can have far-reaching effects on learning, Tan says. And as interventions go, it’s rare to find one that is as easily accessible, cheap and safe as exercise, he says. As with other interventions, movement and exercise programs may work best if begun at a young age. Building motor function early in life may instill children with the confidence and skills they need to engage in athletic activities later, experts say. Another key to the success of these programs may be a gentle coaching strategy. Breaking down rules of games into small steps can ease the way to participation in sports for children with autism. It may even help to start with illustrations of the process, Lloyd says. “We also offer a lot of reinforcement for the small steps and use repetition — much more repetition than if you were an instructor of kids with typical development,” she says. Last summer, Lindsay Guest, a graduate student in Lloyd’s lab, led a week-long sports skills camp for school-age girls with autism. The girls practiced the most basic movements involved in basketball, baseball and other sports. Eventually, they moved from stepping in place to dribbling to playing a game of basketball. “It was spectacular. These girls gained improvements in motor skills, self-perception, global self-worth,” Lloyd says.